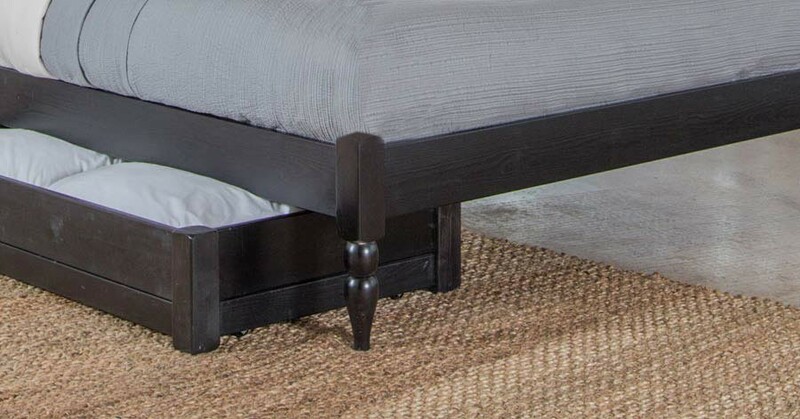 This wood Platform Bed features our stunning tapered legs, with its clean lines and smooth curves, that makes this an attractive and elegant bed suitable for any bedroom. 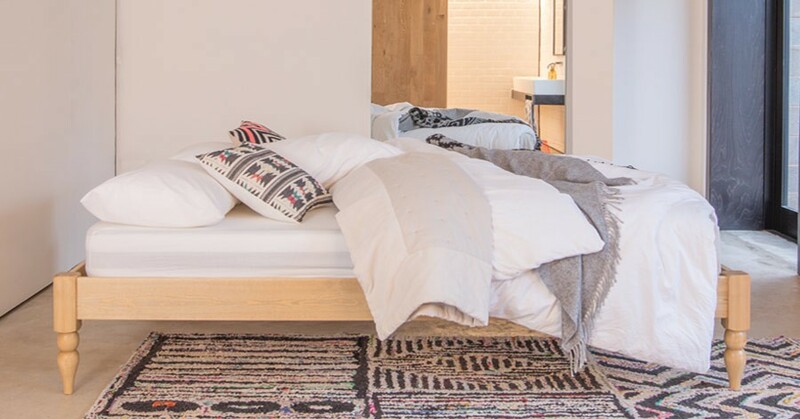 The exclusion of the headboard makes this bed ideal for saving space, especially if you have a bedroom that is restrictive in size and space. 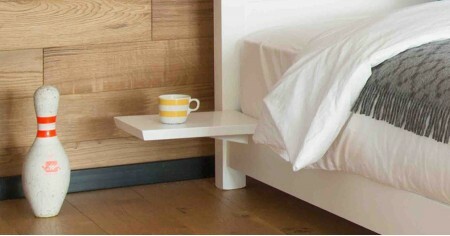 This is what makes the Platform Bed (Turned Leg Option) the ideal bed for small and awkward bedrooms. With plenty of space underneath the wooden bed frame, you don’t lose the bed as a storage solution which makes it an ideal choice to maximize the space in your bedroom. Shown here in our honey satin, the Platform Bed (Turned Leg Option) is available in an array of different colour finishes, ideal for matching to your bedroom decor. 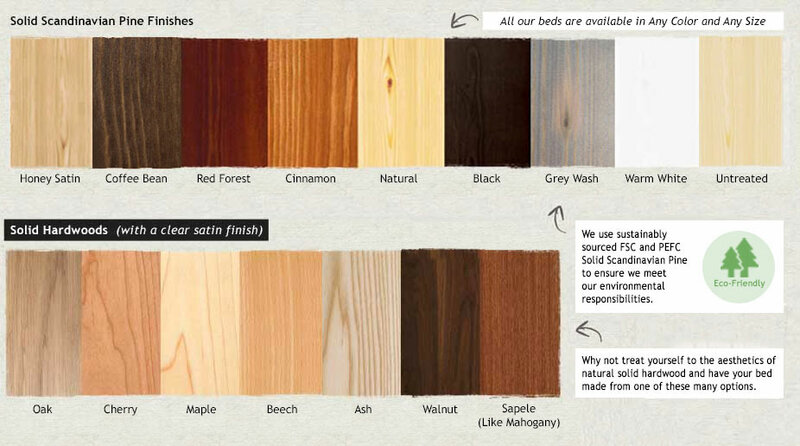 We have a total of 17 wood finishes to choose from, this includes our contemporary white, elegant coffee bean and our stylish honey satin stains, you can get the exact look and style for your bedroom. 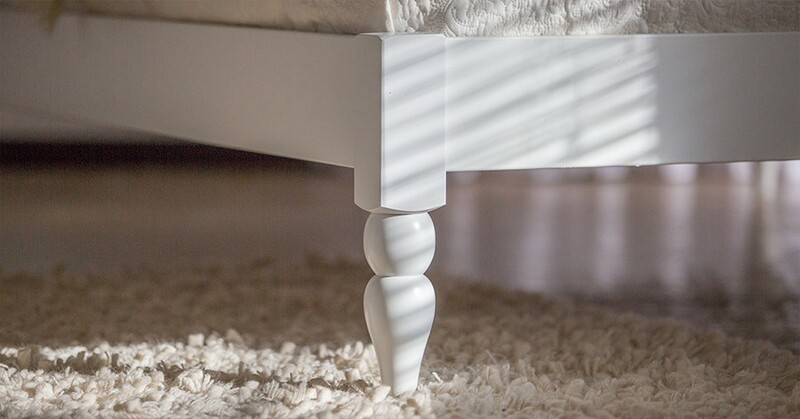 If your bedroom already contains hardwood furnishings, you match this to your wood bed frame to your decor, this includes our solid Oak and Walnut finishes. We care deeply about our environmental responsibilities, this is why source our 100% solid wood from FSC and PEFC approved forests. 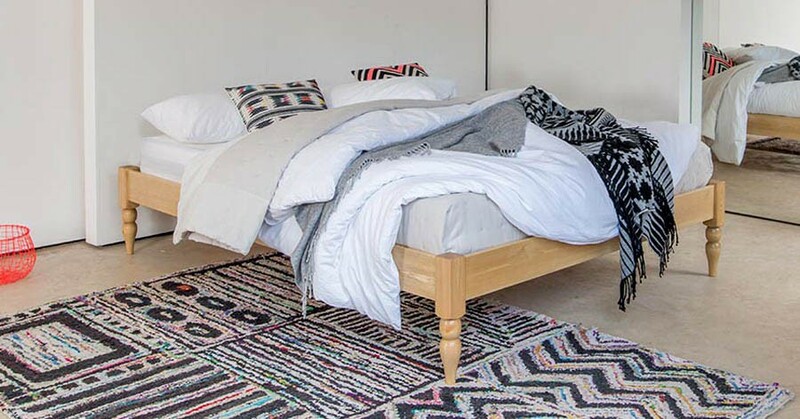 So you can be confident your Platform Bed (Turned Leg Option) has been ethically made. Our wood beds frames are handmade throughout our 19 production stages, our craftsmen can bespokely alter the design of your bed to match your exact needs. 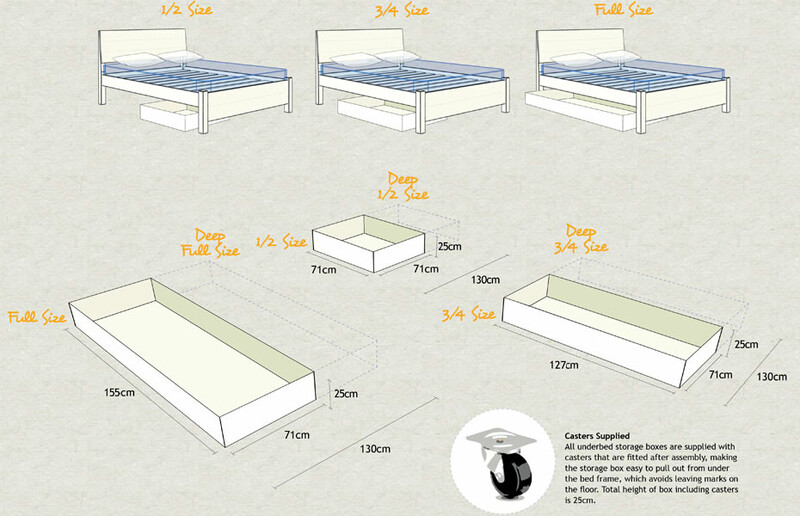 Whether you to change the height, width or design customisation, we can do this for a small charge. 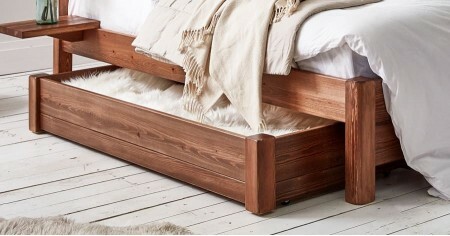 For those looking for a wood bed similar to our Platform Bed (Turned Leg Option), we have our London Bed, a simple, yet stunning design which features a headboard for those who prefer it.